We currently have 6 teams who are playing in the league this year. Anyone interested in entering a team should contact Terry Prosser via Herefordshire Squash, Tennis and Racketball Centre or via the contact page. The first fixtures of next season will be played in late September or early October 2019. 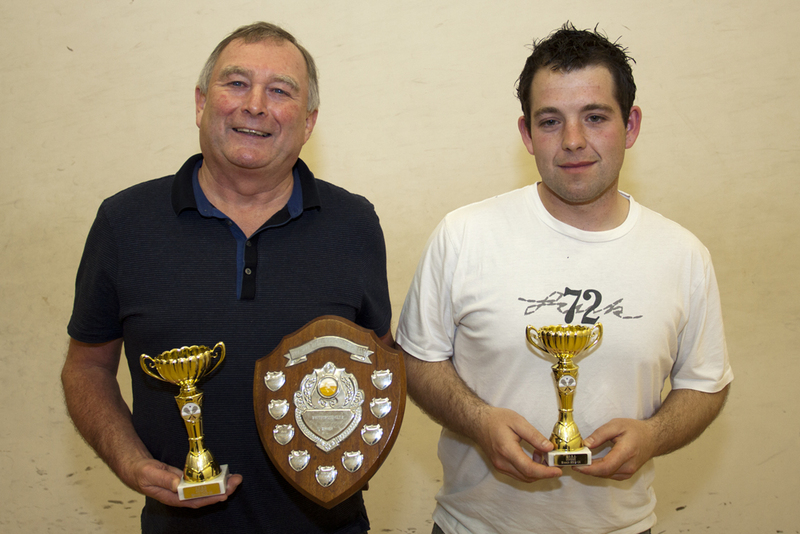 The Herefordshire League consists of 6 teams, 4 of which play from Herefordshire Squash, Tennis and Racketball Centre, one from Monmouth Squash Club and one from Presteigne on the Herefordshire/Powys border. Teams consist of four players playing in ranked order. All strings play PAR scoring to 15 points. All strings play to best of 5 games. The knock-out competition is played according to PAR scoring for all strings, teams must field 5 players for this competition. 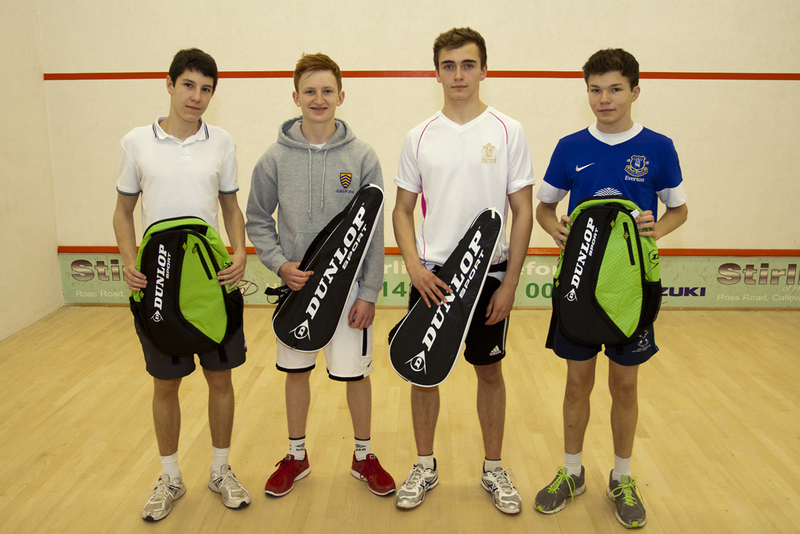 Herefordshire Squash & Racketball Association held its Junior County Closed Championship on Saturday 13th December at Hereford Whitecross Club. The competition covered under 11s, a combined under 13 and under 15s and under 17 categories with a fun event taking place for younger competitors. 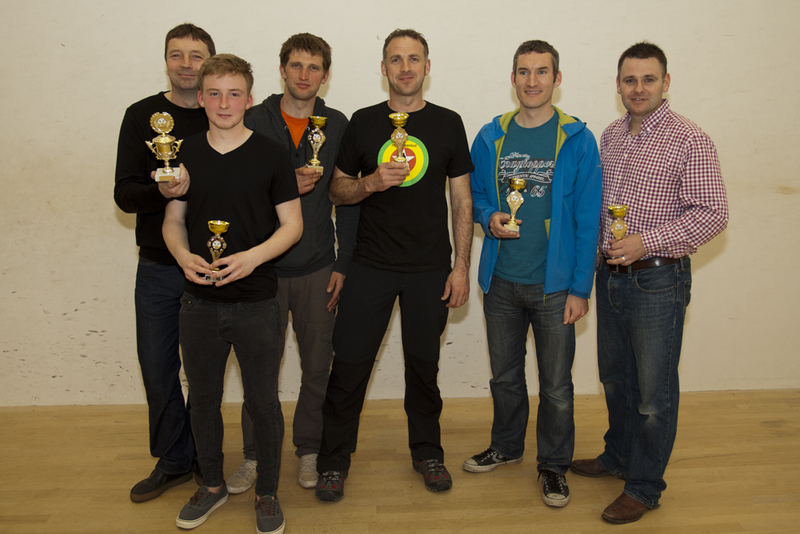 A full afternoon of squash was provided for all competitors with every athlete guaranteed 4 games. Owen Fish and George Grismond won through to the final with Tom Lewis and Sam Harris fighting it out for 3rd and fourth places in the under 11s. Tom Lewis played a controlled game to take 3rd place despite Sam's brave resistance. In the final Owen seemed to have the match in his grasp after winning the first game but George rallied and fought back to take the title. 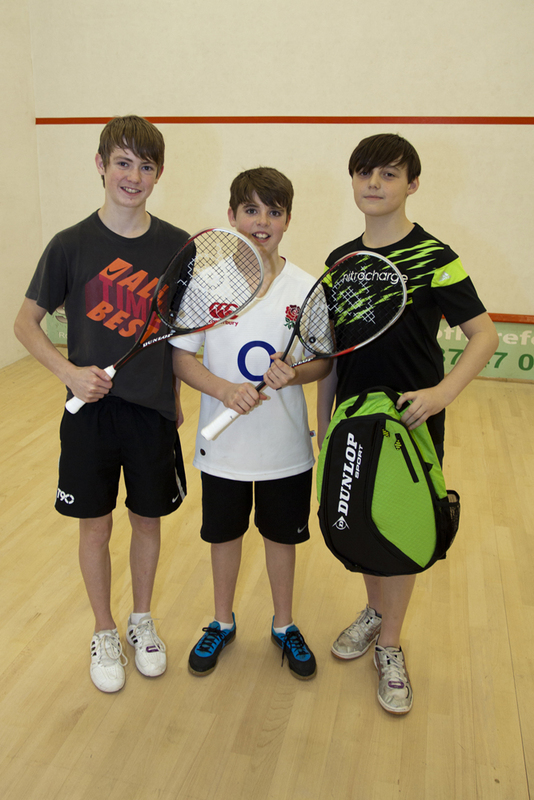 In the under 13/15s group Jack Harris took on Flynn Edmonds in the 3rd/4th playoff. 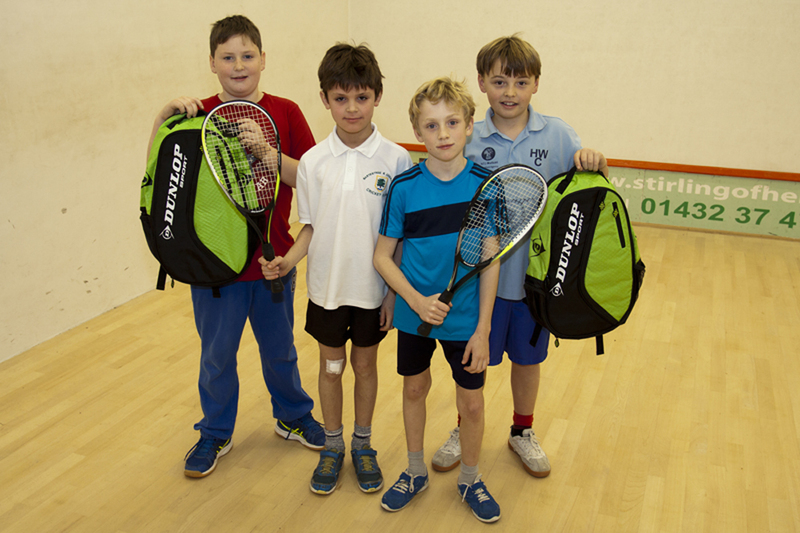 It was Flynn's first experience of competitive squash and he acquitted himself admirably but Jack's greater experience was enough to see him win through. In the final for this age group brothers Luke and Connor Wilkins treated spectators to a titanic battle. Connor took the early advantage winning the first game but Luke's greater strength and fitness eventually told to see him win the title. The under 17 category featured a range of experience and ages. The playoff for 3rd and 4th saw Harry Hutton take on the youngest player in the group Owen Davies. Harry's game had developed quickly throughout the afternoon and, despite losing to his opponent earlier in the afternoon, he was able to defeat the younger player and take 3rd place. The final was a relatively one-sided with the very experienced Ben Brookes overcoming the brave resistance of Tom Sharp in his first competition. The winners and runners-up in all categories received new racquets and the 3rd and 4th place competitors received sports bags donated by Dunlop. 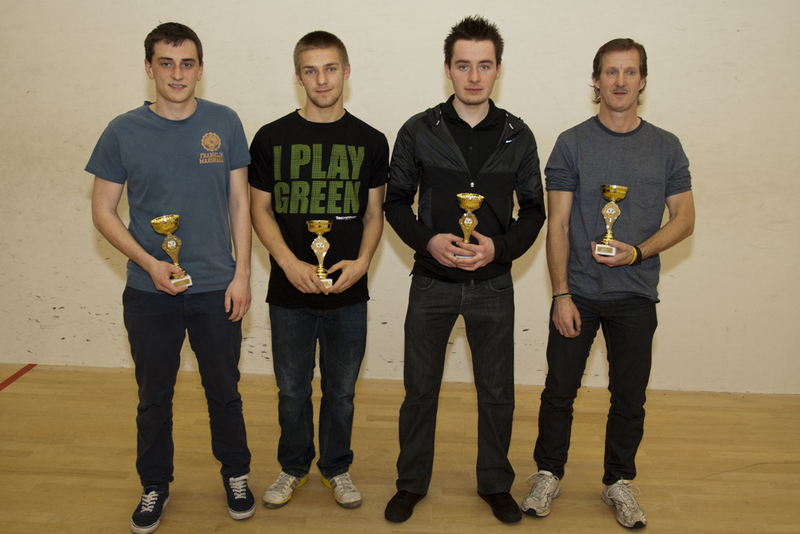 DPM won the Herefordshire Squash League for the second time in their history. Click here for the results of games played so far. The latest league table is shown here.